Needing to pass your vehicle’s Smog Check is just one of the requirements of living and driving in Culver City, CA. While it may be an annoyance, since 2008 the Bureau of Automotive Repair (BAR) reported that the smog testing system has removed an estimated total of 50,000 tons of vehicle emissions from California’s air! 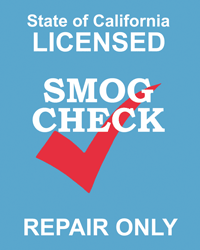 Our quality smog repairs in Culver City help you prepare for and pass your Smog Check. Modesti’s Car Care Center is proud to be a part of helping improve our cities air quality by providing top quality smog repair in Culver City, CA. As a Repair-Only station, we are licensed by the state to diagnose and repair vehicles that are subject to the Smog Check Program. While we can’t perform your official Smog Check Test, we do have licensed Smog Check repair technicians who can perform any necessary smog repairs that your car, truck, SUV or minivan may need after failing an official Smog Check Test or when your check engine light turns on. Dedicated to improving Culver City’s air quality, one car at a time. The team at Modesti’s Car Care Center loves working in the great Culver City community. Providing quality smog repair services that help both our customers and the environment is another step towards preserving and growing our town for future generations. Combined with our green auto repair facility and our complete hybrid repair services, we’re invested in making the automotive industry more environmentally friendly!